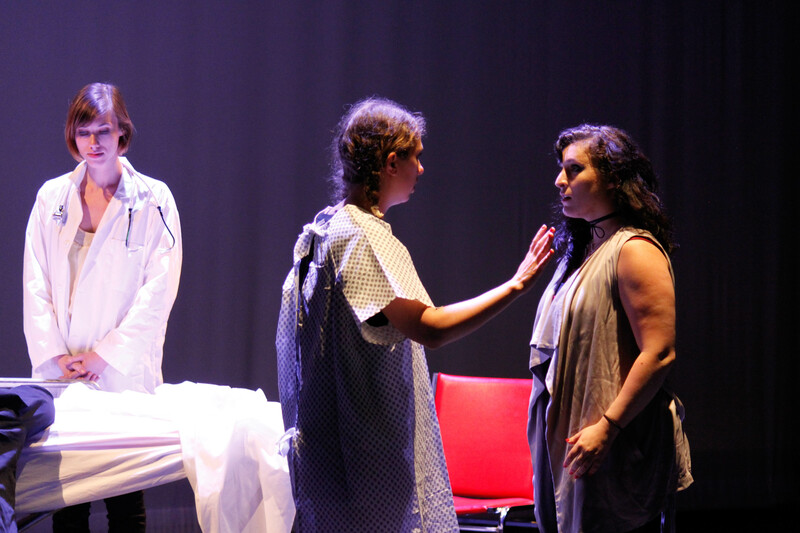 For 9th-grade H-B Woodlawn student Josie Walyus, the 2018 New Play Festival was the next step to a life-long dream. Josie’s play, Three Cheers to Grace, was recently produced on High School Night of the 2018 New Play Festival to enthusiastic acclaim! Three Cheers to Grace follows car accident survivor Eliza and comatose best friend Grace. Eliza struggles to come to terms with the critical condition of her best friend, while Grace, although in a coma, struggles to have her voice heard as her friends grow and change around her. “Three Cheers to Grace kind of came from different experiences I’ve had,” explains Josie. “I like the idea of having a character not be limited to the story being told, but stepping outside of it.” For Josie, that character was Grace. Through Josie’s writing, the audience is able to see the story unfold from Grace’s perspective, even if the character is in a physical coma. And the tension builds as friends Grace and Eliza try to connect with one another but just can’t. While Three Cheers to Grace isn’t the first thing Josie has written, she says it is the first time she ever finished a play. The original play itself was a much longer version than what was produced on stage, but YPT loved it so much, that next season, it will produce the full version in a theatrical run. 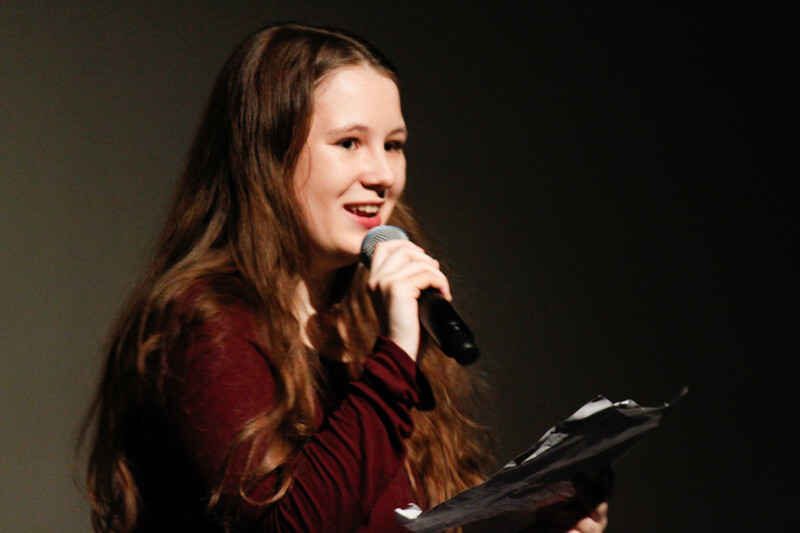 Josie says that the YPT experience was "mind-blowing" and that it further encourages her to pursue playwriting professionally as she gets older.